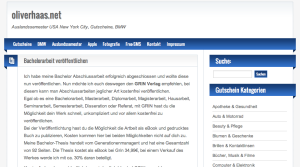 Consultinghaas.de is the website of company Consulting Haas, which I created in this year. 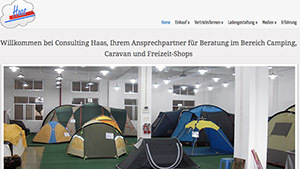 Consulting Haas offers an efficient consulting in department distribution, store design, product presentation, product development, media and buying. The theme of oliverhaas.net is coupons. In addition I have blogged about my study abroad in New York City, USA. You can get a lot of detailed information about semester abroad and the city of all cities, Manhattan.